June Berry’s paintings refer to memories of childhood or nostalgic recollections of ways of life now disappearing. Part of the year is spent working in her loft studio in South-East London and part in deepest rural France, where some of the old ways still remain. She is fascinated by people, birds, dogs, gardens, secret pathways and alleyways, Spring and Autumn. June’s paintings are created in the studio from sketchbook notes, photographs, memory and experience. 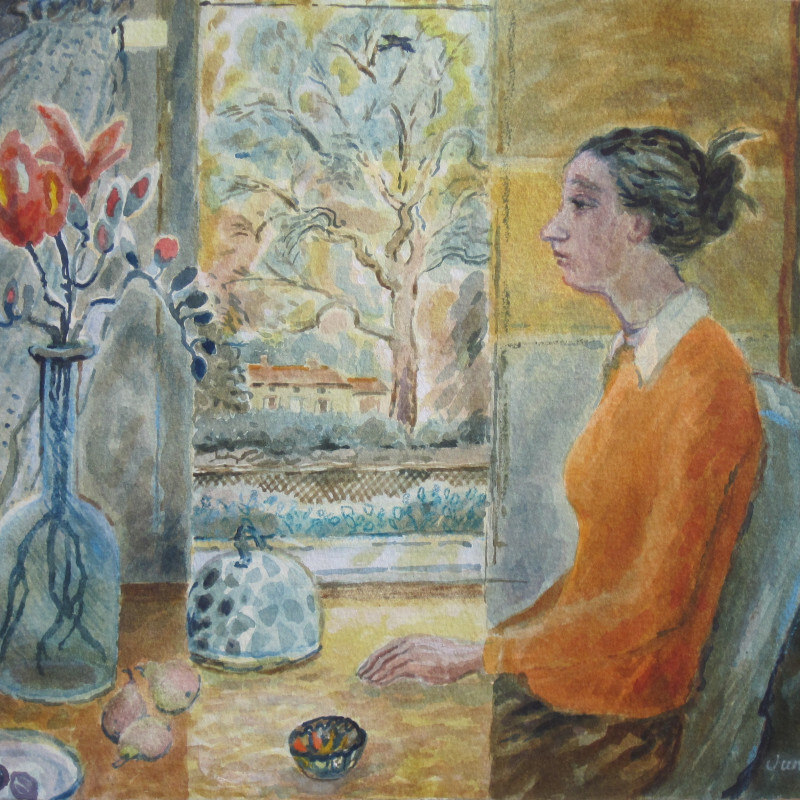 After preparatory compositional studies she works directly in watercolour, building the image from many layers of transparent colour.